India. 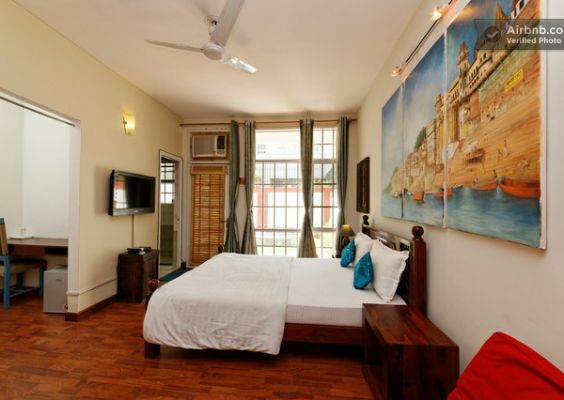 Great for business executives and an economical alternative to Budget Hotels in Gurgaon. We have two locations in Gurgoan. One just tucked inside a lane on Sohna Road Gurgoan, Sector 48, and the other an independent villa in Nirvana Country (Sector 50). With its prompt service, delicious home cooked food, safe gated complex / environment and an enviable record of being No. 1 on Tripadvisor 9 years in a row - 2010-18; Cinnamon is a great choice for short & long corporate stays. We are present in two locations - Sohna Road and Nirvana Country. If you have work near Medanta or Hero Honda Chowk, or in any corporate park on Sohna Road, then stay at our Eldeco location. Rooms with ensuite bath, 24X7 power back-up, delicious home cooked food, laundry, cab-on-call, 7-11 staff, safe for women, meeting space for small groups. You can avail long stays up to a month and more.Great for senior management who can definitely afford a hotel but prefer the warmth of a home,home cooked food and the unhotel ambience! Each of our two home-stays comes with an attached small garden. Good for the morning stretch or chai or smoke outside. Especially in winters. At the Nirvana Homestay we have a large lounge that is great for working outside your room.Chat up with fellow co-travellers. It can also be used for small meetings. Our homestay has a large lounge area. This is almost like a co-working space. It filled with art and posters and may give a hotel a run for its money. Work here or chat up with other guests. Cinnamon Stays is the No. 1 bed & breakfast of Gurgaon (rated by Tripadvisor). Amongst the first homestays in Delhi NCR long before airbnb became cool. It&'s the place where startup founders have stayed in gurgoan, where CEOs and CMOs of large companies have spent quite a few weekends. A place patronised by solo women travellers,bloggers and travelenthusiasts. Over the years, Cinnamon has played hosts to writers, artists, students from abroad doing interns, long stay guests doing projects in Gurgaon and Manesar. In fact our longest staying guest Marco from Germany stayed with us for a full three years! 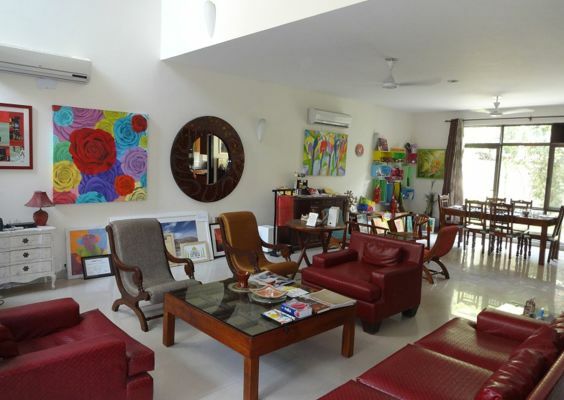 If you are looking for a safe, friendly place and Family guest house in Gurgaon near sohna road or golf course extension. And want to stay close to Sohna Road or the Golf Course Extension then we are the place. We are the perfect pad for discerning travelers who expect a quality stay, but not really the discount seekers. Frequent travellers to Gurgaon who want to stay as guest near sohna road can make Cinnamon their second home in Delhi NCR. Our cooks Dinesh, Guman Singh (both from Uttarakhand) and Ravi (from Jharkhand) make delicious homecooked food. Dinesh's chola bhatura, Guman's dry chicken and Ravi's mutton are finger-licking good. My stay @ Cinnamon Stay over the monsoon weekend was warm, lazy and very comfortable. Aromatic literally. Warm Hospitality, Quick Service, Quality Food, Clean & Hygienic coupled with Some very pleasant people who run the show.